Fill your fundraiser with lots of color and success. 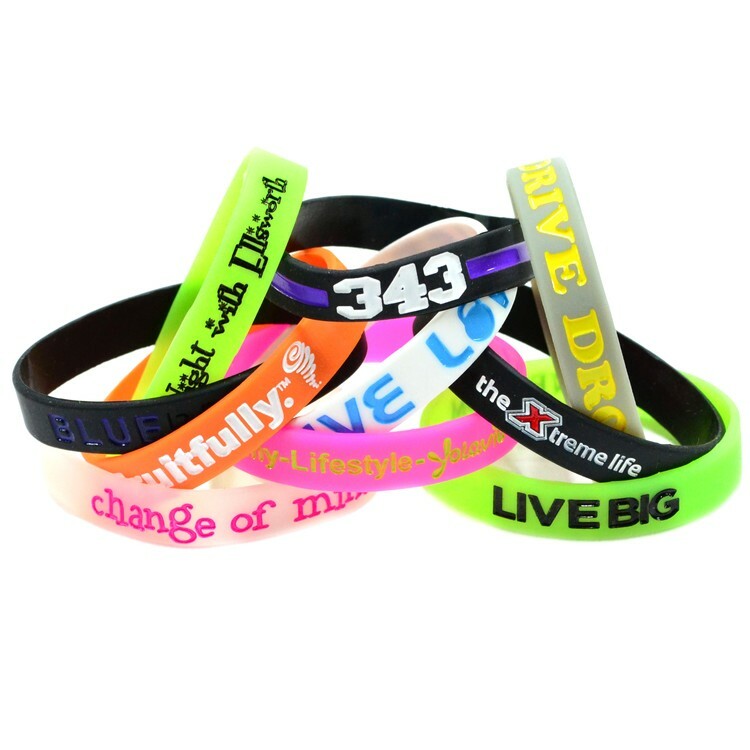 Your message debossed into these quality rubber bracelets is filled with color for long-lasting sparkle. Schools love these wristbands. Change a wristband into a key chain with our keychain accessory. Assorting of sizes or colors(see options min 100 per color/size).